Volume rendering of a temporal mixing layer. Image copyright Intelligent Light (c) 2012. Intelligent Light is seeking partners with whom to collaborate on recently completed research into visualizing unsteady turbulent flows. Through a Phase II STTR from AFOSR, researchers at IL developed a technique whereby the system can be trained to find features like turbulent vortices and then track those feature statistically over time. Those interested in collaborating on this research should contact IL by emailing research@ilight.com. 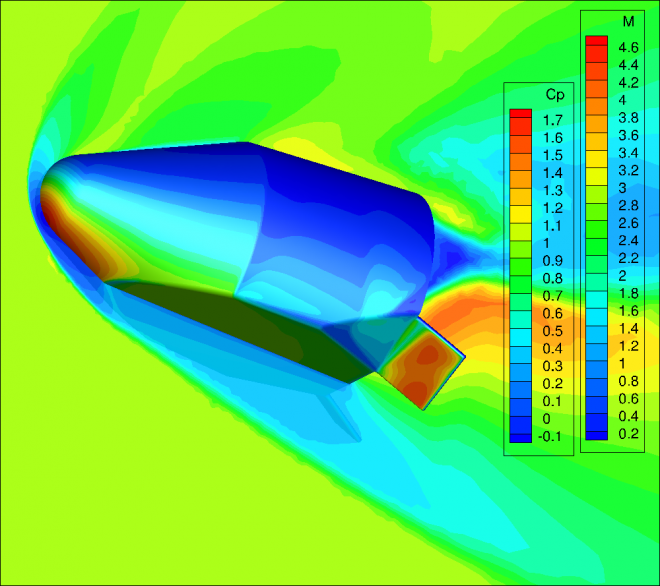 CFD simulation of Blue Origin’s biconic capsule design with a split flap deployed. Image from Blue Origin via Wired. Blue Origin and Sierra Nevada have been using CFD and wind tunnel testing to study the aero performance of their commercial space vehicles as part of NASA’s Commercial Crew Development program. Here’s a similar article about Blue Origin. 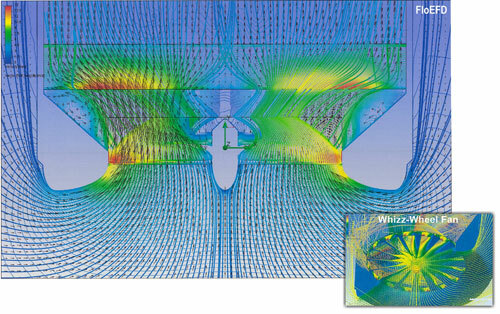 CFD studies show that split winglets with scimitars reduce winglet drag by 2.5%. Confidence in the simulation is high because previous studies were within 0.1% of flight test results. Here’s an unrelated article about winglets on Boeing’s 737 MAX. CFD helps design fans that keep oil and gas drilling systems cool. 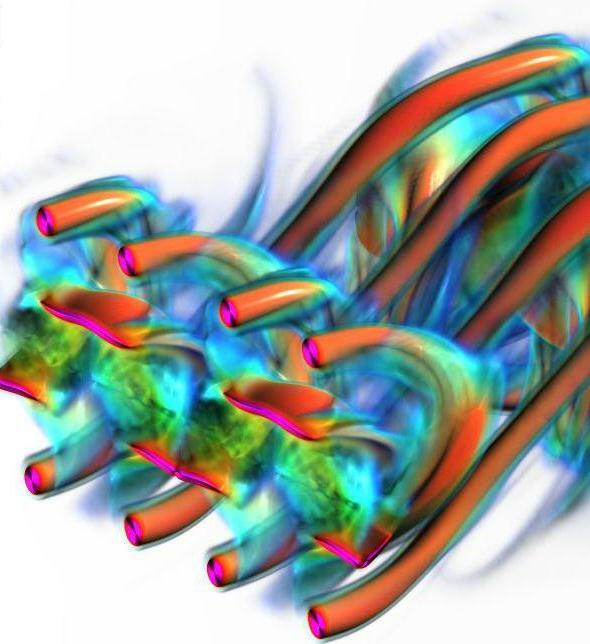 CFD can be used to model bus fires. CFD solution of flow through a cooling fan. Solution from FloEFD. Image from Desktop Engineering. HP is looking for a CFD code developer intern in Oregon. TYCHO v0.92 has been released. TYCHO is a freely available compressible hydrodynamics code written in C and parallelized with OpenMP. Rocket Propulsion Analysis v.2.0 is now available. This entry was posted in News, Software and tagged FIeldView, Intelligent Light, TYCHO. Bookmark the permalink.